Every year the major Hollywood studios report a list of the most notorious pirate sites to the US Government. While the listed targets usually don't respond, there is some serious pushback recently. After CDA.pl dismissed the piracy claims against it earlier this week, RapidVideo follows suit today, stressing that it has already taken several voluntary measures, including an upload filter to prevent pirated content from being reuploaded. A few weeks ago the MPAA, together with several other trade groups, submitted its annual list of ‘notorious markets’ to the US Trade Representative (USTR). These submissions help to guide the U.S. Government’s position toward foreign countries when it comes to copyright enforcement, putting significant pressure on the mentioned sites. The MPAA’s submission included many of the usual targets including The Pirate Bay and Fmovies, but also several hosting sites or cyberlockers. The latter category is interesting. While there are unmistakenly several “rogue” hosting platforms that don’t care about copyright holders, not all fit the billing. One of the bad actors according to the Hollywood group, however, is Rapidvideo. 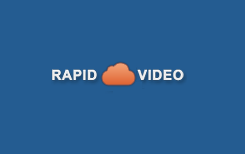 “Rapidvideo.com is a streaming/download cyberlocker with a global Alexa ranking of 999. Rapidvideo.com had 21.66 million worldwide unique visitors in August 2018 according to SimilarWeb data,” the MPAA wrote. “The site incentivizes users to upload content with an affiliate program. The site pays from $7.50 to $60 USD per 10,000 views depending on the country in which the viewer is located,” the Hollywood group added. As is usual in these reports, there is virtually no detail about any alleged copyright-infringing activity. While we’re pretty certain that Rapidvideo stores some pirated videos, this is no different from Google Drive or Dropbox, for example. The MPAA’s report does mention that some hosting sites don’t remove infringing files, but only the reported links to these files. On top of that, many sites don’t respond well to takedown notices at all. So that must be the case with Rapidvideo then? Well, the site’s owner wholeheartedly disagrees. “We have a DMCA agent guy working with us, who also works with the MPAA and other rightsholders. He was happy with our anti-piracy methods, but the MPAA reported our site to the government nonetheless,” Rapidvideo’s Alex informs TorrentFreak. As it turns out, Rapidvideo doesn’t fit the MPAA’s description at all. The site processes takedown requests, has a designated DMCA agent, a repeat infringer policy, and it even implemented an MD5 hash filter system to ensure that flagged files are not re-uploaded. While the company is incorporated in Belize, it believes that it’s fully compliant with US, Canadian and EU law. It even complies with the proposed ‘upload filter’ the EU may implement in the near future. In recent months Rapidvideo was approached several times by a representative of an anime video distributor. Many of the recent enforcement changes were implemented as a result between the distributor and Rapidvideo’s copyright agent. This was also communicated to other rightsholders, including MPAA members, the site’s owner says. However, that didn’t prevent the listing on the MPAA’s most recent overview of rogue sites. “After the whole procedure, we learned that we would appear on the list submitted by the MPAA to the U.S. Government. This, despite that everything was correctly implemented in compliance with the regulations and rules, including the DMCA,” Alex says. Rapidvideo was told that they didn’t process all notices correctly. While the site admits that some reports were set aside, those were all inaccurate takedown notices. For example, they lacked details that are actually legal requirements. The video hosting site feels that if the copyright holders push them to comply with the law, those companies should be held to the same standards. Also, none of the rightsholders complained about the rejections directly. Rapidvideo hasn’t sent an official rebuttal to the USTR, so it could very well be listed in the official overview of Notorious Markets early next year. The video hosting site is fully confident that its policies and procedures are compliant with copyright law. They are not intimidated by the MPAA’s report, and with their upload filter, they have nothing to fear from the EU either, according to the owner. “We have everything fully ready for the EU upload filter. We are also a legal company that pays taxes and complies with all rules and regulations, so we are not afraid of any possible outcomes,” Alex concludes.